Big Eyes here, introducing our newest writer: Afrocat! Howdy! Afrocat here to give you my 5 C’s markup of the indee movie JINN produced by Sweet Potato Pie Studios. My criteria is Cast, Cinematography, Color, Clarity of story line, and Conclusion. First and foremost, I want to praise the casting choices. Not a single character looked unnatural or out of place for the year or geographic location of the movie. I especially love that despite the cast being predominately black or of color, the movie isn’t set in an impoverished neighborhood full of gang violence and broken homes like many black focused movies are. The protagonist is from a middle or lower upper class neighborhood. Her mother is college educated and gainfully employed as a meteorologist for the local TV station. While the parents are divorced, the split is amicable. I found the entire cast to be very likable and very relatable. The movie employs some pretty great cinematography. Scene changes have a natural flow. Filters and effects are used sparingly, but accomplish great things. Slow pans across elegant decorum, warm sunlight filters, and hazy blue-gray backgrounds with rain just gave me goosebumps. Special kudos to the music selection that really drives the sensation from the scene. The hip hop and pop music from the dance rehearsal and party scene make you want to jam while the ephemeral piece during the mosque introduction scene give the viewer a sense of peace and inspired admiration. I know what you’re thinking: What do you mean by color? While I don’t have synesthesia, I still get a sense of color from things. This movie registers as a sunflower yellow. The movie follows the typical story progression from intro to conflict to resolution, but the resolution really gives you that warm and fuzzy feeling inside like a large field of sunflowers gently swaying in a warm spring breeze. The introduction is baby blue, very easy going and pleasing, the depth of the conflict in the movie a steely blue gray, then conflict resolution sunflower yellow. The more you think about it, the more it makes sense. The movie is about identity, very straight forward. You get your first taste in the form of what could be dismissed as a silly question, “What do you think I’d look like without hair?” asked by Summer’s mother Jade. Soon after, the typical English class scene where the theme is formally introduced as a paper. Throughout the movie, you’ll see Summer work on this paper, her inner monologue acting as exposition. She explains that her mother came from a broken home, part of which is included in her identity. Another scene where Summer is at her father’s apartment discussing Jade’s decision to convert to Islam, her father states that when he first met her, she was a Black Panther and a Buddhist, saying that she was always trying to find a new way to invent herself. First outright opposed to the idea, Summer eventually goes along with it per her father’s request. Here’s where the movie title becomes important! In one of the masses, the Imam says that mankind was made from clay, Angels of light, and Jinn of fire. 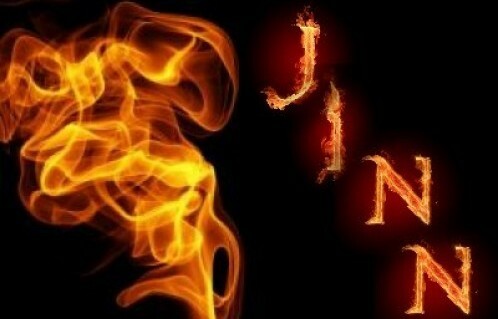 Unlike angels, Jinn are from another realm and exercise freewill for good or bad. Angels lack freewill, as they are simply agents of the will of Allah. Through the conflict of reconciling her lifestyle as an aspiring dancer and the followings of Islam, Summer concludes she is two souls in one body, that she is a Jinn. All in all, I very much enjoyed this movie. I tried to watch objectively, and found myself pulled along on the emotional rollercoaster. I was awestruck and felt emotionally activated. My spirituality was awakened, being of a Jinn-like nature myself. I found myself questioning the aspects of my own identity and I still am. We all like to think that our teens and early 20’s are the years of identity formation, but this goes to show that we are always a work in progress, our identity always changing as we grow. This is Afrocat signing off, go forth and be hella!